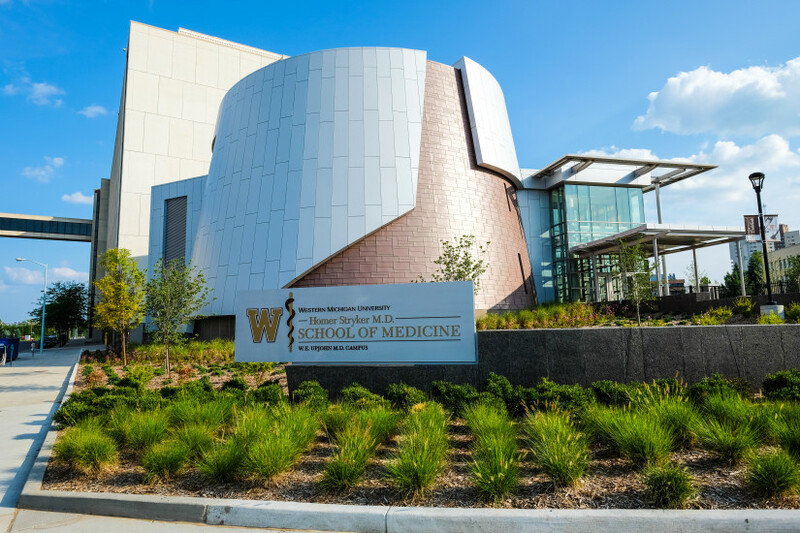 Western Michigan University’s new medical facility included team-based-learning lecture halls, clinical skills training laboratories, anatomy laboratories, operative procedure simulation laboratories, a multipurpose laboratory, skills classrooms, a control room, a meeting hall, conference rooms, breakout space, a green room, faculty preparation areas, general classrooms, an information commons, a student lounge and a media hub. 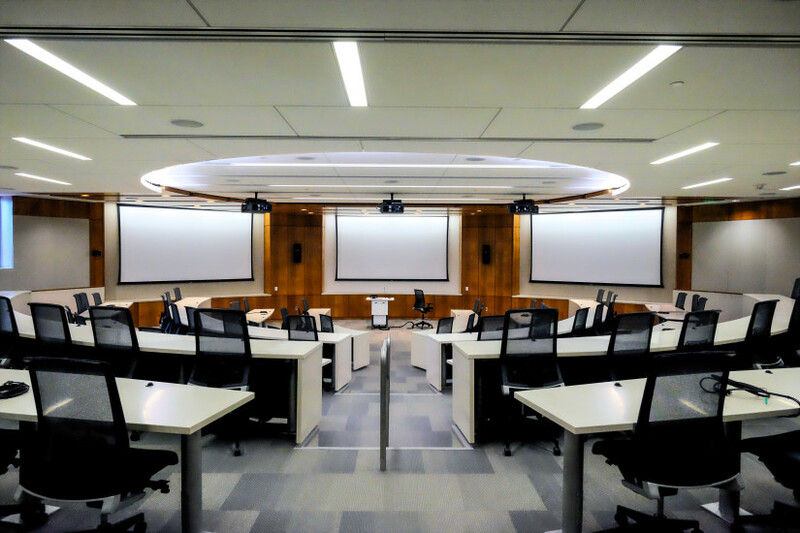 The lecture halls seat 100 people in a tiered seating that allow the tables to be used as a collaborative environment. 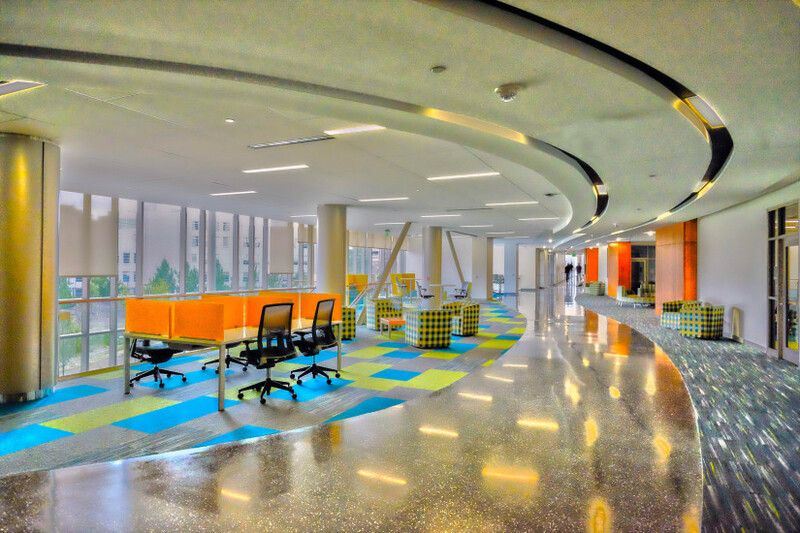 All activities within the learning spaces may be captured for later review and can be sent to remote sites. The human anatomy laboratory supports educational dissections, testing processes, surgery and research laboratory functions. Video content distributes through station computers, where wireless captures images while students work through their dissections and analyses. 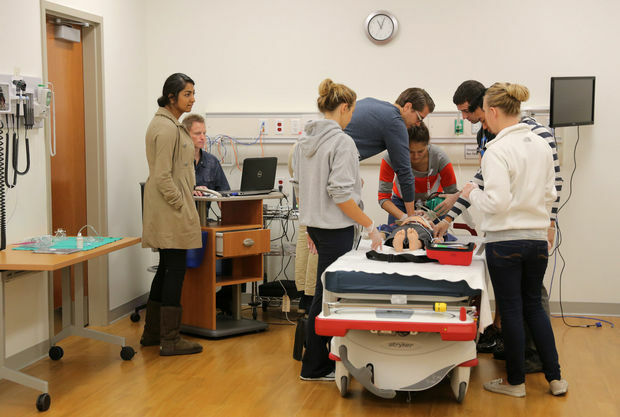 The simulation center allows single-room simulation scenarios along with a continuum of care solutions: emergency room, operation, acute care, pediatric intensive care, neonatal intensive care and flexible spaces for debrief or scenario instruction. All rooms are managed from a central control with ten operational stations.